Automotive service technicians play a crucial role in today’s society. Service technicians need to expertise to solve electrical and mechanical problems in our vehicles and to assure that they are running at peak performance and safe for those who depend on them. Our Automotive Technology program will challenge you through both classroom lecture and hands-on experience taught to you by ASE Master Automotive Technician instructors. You’ll acquire the necessary skills to perform regular maintenance and diagnosis/repair on all makes and models of cars and light duty trucks. As a CCC student, you will also be eligible to earn Automotive Service Excellence (ASE) Student Certification through our Automotive Technology program. 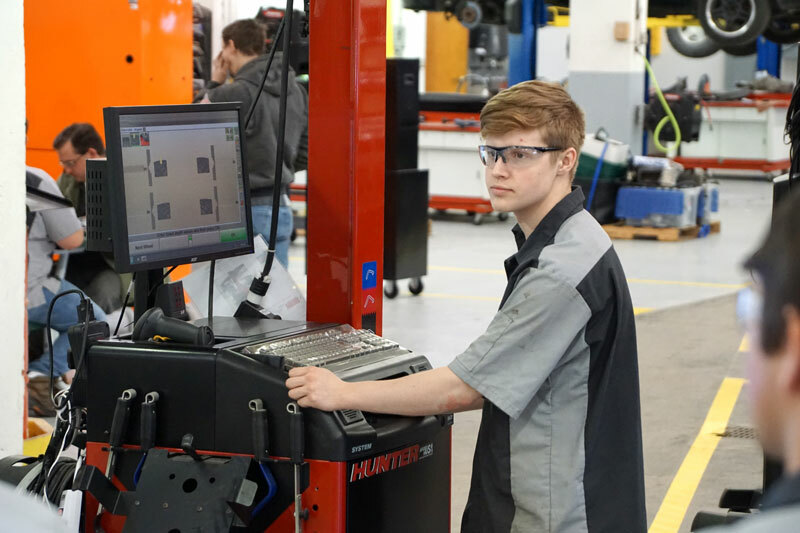 Our Automotive Technology program has partnered with the National Coalition of Certified Centers (NC3) to offer third-party certifications to our students. These certifications are free of charge to you as part of the Automotive Technology program. The Automotive Technology program is fall-start only. The length of time to complete the degree is based on a student taking only the courses required for the program as listed in our online catalog. It does not include the cost of foundations courses that may be required based on assessment scores, retaking courses or taking courses that are not required by your program of study. Your adviser will develop a program of study to meet your individual needs.